Watch Hannibal Season 3 Episode 7 Online and see how Will and Hannibal fare in the captivity of Mason Verger. What does Mason have planned for them? 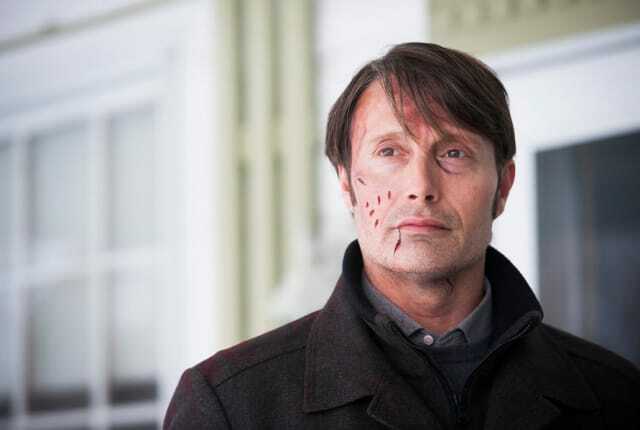 Watch Hannibal Season 3 Episode 7 as it picks up where Hannibal was sawing Will Graham's skull open. His act is interrupted by members of the Florence police that have been paid off by Mason Verger. They take Hannibal and Will, and leave Jack Crawford to be killed by two members of the police. At the farm, Mason receives Will and Hannibal, declaring that Hannibal needs to be fattened to be eaten. However, he has different plans for Will, and Will has his own way of reacting to that news. Mason reveals to Margot he already has a plan in motion for giving them a child. However, that plan may not be to Margot's liking. Margot visits Hannibal where he's tied, where he revisits one of their therapy sessions, and gives her some advice. Alana visits Will, and confesses her hand in the matter. Will advises her that she now has to evolve with the changing circumstances. All this and much more (so very much more) happen on this week's episode, so be sure to watch Hannibal Season 3 Episode 7 online!